John Michael Rhem joined The Mountain Group at Premier Sotheby’s International Realty in October 2013, specializing in marketing and graphic design for the team while lending his knowledge of architecture and design in sales strategy and property staging. John graduated from Appalachian State University, earning a Bachelor of Science in interior design. Here, he quickly fell for the High Country’s lifestyle, its rolling hills and unique mountain architectural style. John uses his design experience and understanding of the market to help the team make each real estate transaction as smooth and stress free as possible. Born and raised in Belhaven, NC, John grew up visiting Ocracoke Island each summer and still returns frequently. He donates time to Appalachians Alumni Association as a former Student Ambassador past president and Alumni Council member. He is also actively involved in his fraternity, Phi Gamma Delta, serving on its Board of Chapter Advisors as a past chapter president. 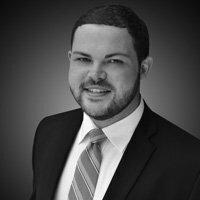 John is a licensed North Carolina real estate broker and currently splits his time between the High Country and Miami, Fl, acting as the Mountain Group’s designated referral specialist for the south Florida market.